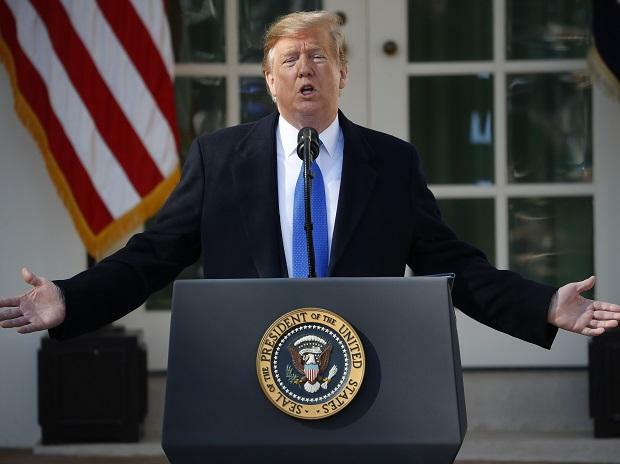 US President Donald Trump said Wednesday that US tariffs on Chinese imports could remain in place for a "substantial period," dampening hopes that a new trade agreement would see them lifted soon. "We are talking about leaving them for a substantial period of time," Trump told reporters at the White House, a week before US and Chinese officials are due to begin a fresh round of talks in Beijing. "We have to make sure that if we do the deal with China, that China lives by the deal." Trump also said the trade talks were "coming along nicely." Washington and Beijing are battling over the final shape of an agreement that both sides have said they would like to reach, with American officials demanding profound changes to Chinese industrial policy. American officials have also insisted that any agreement have teeth -- including the ability to impose tariffs unilaterally should China begin backsliding on any commitments to end alleged unfair trade practices. China has expressed willingness to increase purchases of American commodities such as energy and soybeans but analysts say they will be reluctant to accede to American demands in ways that could weaken the communist party's hold on power -- such as fully exposing state enterprises to market forces.